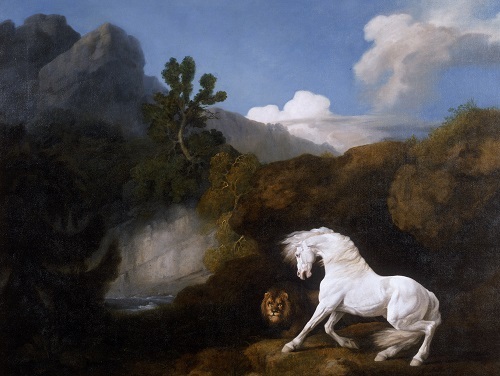 Today George Stubbs (1724-1806) is known and loved for his anatomically accurate and sensitively realistic portraits of magnificent horses and their supporting cast of dogs and humans. 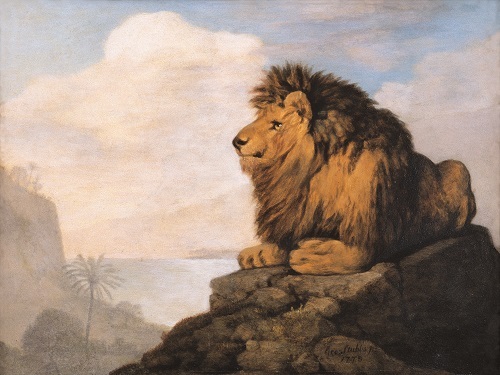 In his own time, the artist’s public image was largely based on his depictions of wild animals in paint and print. Throughout his life he was fascinated by how animals are built, not just by their outward appearance, and he studied their anatomy tirelessly. It was this interest that led him beyond horses to other animals, at a time when many exotic new mammals were arriving in London from Britain’s expanding colonies. 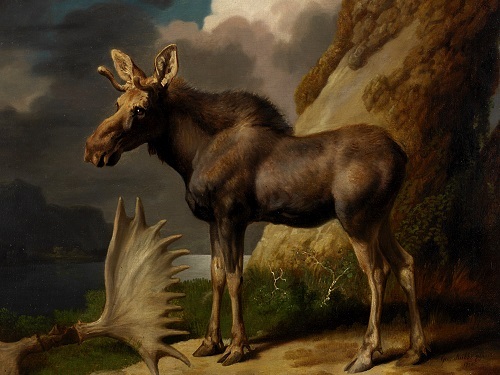 Moose, zebras, yaks and even the remains of a kangaroo were brought home as valuable curiosities and their owners encouraged Stubbs to study the animals and record them for posterity. 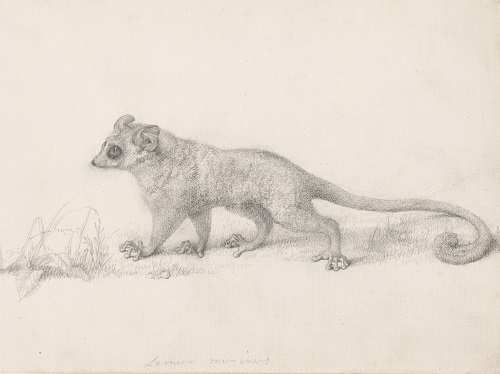 Although many of them were intended primarily as zoological studies, Stubbs’s paintings of wild creatures are also portraits that capture the behaviour and character of living beings. 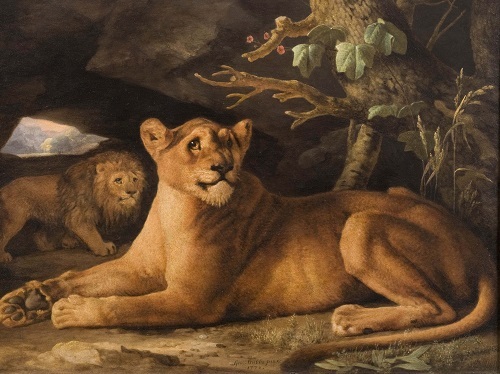 As a subject painter, Stubbs’s most successful essays in the sublime also explore the wild, not as a source of curiosity but as a distant, untamed land where nature is merciless and well-fed predators rule. 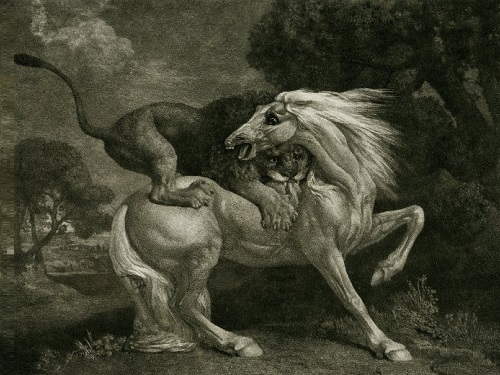 His images of a horse attacked and then devoured by a lion, with variations in different media and reproductions in print became Stubbs’s signature work. This exhibition will include some of the most charming and fascinating of the animal portraits, grand fantasies, and exquisite prints and drawings. It is part of a series of special events to celebrate 100 years since the re-establishment of the Holburne Museum in Sydney Gardens. Admission to the exhibition includes a free audio guide featuring commentary from animal experts. We are delighted to share podcasts from Simon King, Wendy Moore and Carl Hester.